If there is one state that should pay close attention to last week's Virginia election results, it is my home state of Texas. Virginians are just as proud of their heritage as Texans are of the Lone Star State. Confederate monuments are revered by multi-generational Virginians almost as much as the Alamo is by Texans, the Virgen de Guadalupe is by Tejanos. But in the recent election, Virginians played it smart. In the aftermath of a deadly rally instigated by white supremacists and nationalists in Charlottesville, the Republican candidate for governor ran an ugly and divisive anti-immigrant campaign and adopted the policies of President Donald Trump. On Nov. 7, Virginians stood up against hate and elected Democrat Ralph Northam. They also ousted incumbent conservatives in down-ballot races who espoused Trump’s agenda. Like so many others in Texas and across the U.S., I was deeply saddened and appalled by the recent case of Rosa Maria Hernandez, a 10-year-old girl with cerebral palsy who was detained for 10 days by U.S. Customs and Border Protection (CBP) after agents stopped the medical transport vehicle that was taking her to a Corpus Christi hospital for emergency surgery. Federal agents stood outside her hospital room before taking her into detention. 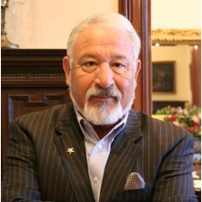 One person who recently spoke out powerfully against CBP’s actions was someone I am honored to call my friend, Alonzo Peña, who served as deputy director of U.S. Immigration and Customs Enforcement under President George W. Bush. To the local and national news media, he spoke of the appalling treatment of Rosa Maria, as if she were a criminal or a national security threat. Unfortunately, Gov. Greg Abbott and Lt. Gov. Dan Patrick seem to support these Gestapo-like actions. They pushed SB 4 through the Legislature last spring. On the same day Virginians rejected hate, Texas Attorney General Ken Paxton, joined by Trump administration lawyers, stood before the 5th U.S. Circuit Court of Appeals and defended SB 4, even though it is opposed by Texas cities, large and small, and by community and business groups. As a long-standing member of the Texas business community and the son of immigrants who has created jobs in San Antonio and in Mexico, I co-signed an amicus brief filed before the appellate court because I truly believe our state leaders and their divisive policies are taking our beloved Texas economy down a path of economic ruin. 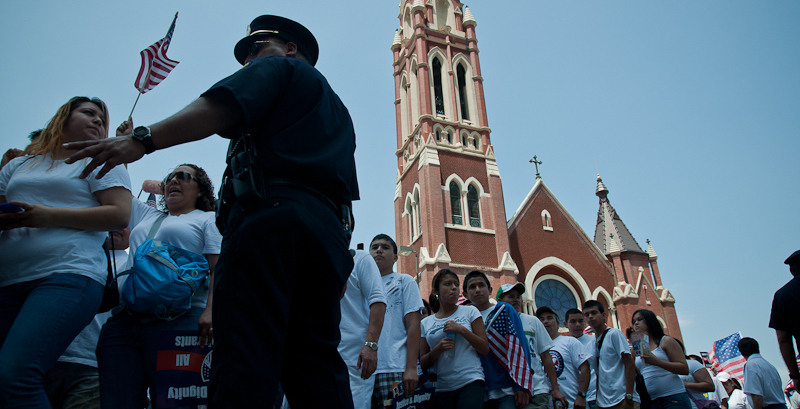 Immigrants’ contributions to the Texas economy are laid out in a newly released report by AngelouEconomics which found that removing most of the undocumented immigrant population in Texas would lower the state’s gross domestic product by $78 billion over ten years. Contrary to popular conservative political propaganda, undocumented immigrants contribute mightily to our economy and pay $2.7 billion in consumption, utility and property taxes, the study found. The “Texas Miracle,” as our robust economy has been known, is going to turn into dust because of SB 4 and other discriminatory policies coming out of the Capitol. Let’s remember that leading law enforcement officials strongly believe this discriminatory law will lead to racial profiling and undo the community relationships they have built in their cities. Instead of making us safer, SB 4 complicates crime-fighting initiatives and makes our cities less safe. What business wants to come to a Texas that is unsafe and whose leaders have exacerbated racial tension? What kind of a nation are we, in which we allow border agents to pick up people in the middle of the night or stand guard outside hospital rooms? Any responsible corporation will think twice about relocating to a state that endorses the aggressive, abrasive and insensitive Gestapo-style tactics of the Trump administration. Immigrants and children of immigrants, regardless of status, are no more a threat to our state than other ethnic groups. We may look different, but we are still Americans. Virginia voters got it right by standing against hate, and Texas should too, now and in the 2018 elections.